Do a quick Google Search again to verify the above title. Tell me what websites you see. Recognise them? Probably not. Is this because no pharmaceutical company is willing to spend several million dollars into doing the clinical trials? Same can be said about Phage Therapy, but there is as much money for Pharmaceutical organisations as there is in Phage Therapy as there is in urinolgy or cannabis for that matter. But if you Google Bacteriophage with your favourite infection you will get credible websites covering its virtues. Like most press coverages it was overall super positive and makes you scratch our head why we can't find a way to use phages in fighting infections that antibiotics have trouble with. In the next week or so I am due to go into hospital to have a 'tune-up', tens of thousands of dollars will be thrown towards me to pump me full of antibiotics and get my lungs cleared a little, but only temporarily. In my analogy of rabbits in my carrot field, this is now akin to paying the army to come in with a battalion to shoot as many as they can. We all know the rabbits will be back within weeks of the battalion leaving. Rediscovering the calicivirus (that virtually stopped the rabbit plague and is still killing domestic rabbits today) is probably a better option. At a nearby Film Festival in the mountains (Cradle Mountain Film Festival), where I was scouting for documentary makers willing to cover my experience with Phages at Yale University, I was at altitude, about 800m perhaps. I could hardly function. Parked next to the disabled spot at cradle Hotel I was exhausted by the time I got to the cafe inside. Trying to do my nebs and cough up a cup of phlegm too two hours that night as each and every step was torturous. It was too cold for my oxygen concentrator to work properly. I need to kill this pseudomonas infection in my lungs. And I am not the only one suffering. And people with Cystic Fibrosis are also not the only people suffering from such infections. So anyway, the journalist on the radio explained how she went to the pharmacist and bought phage medicine over the counter. It was designed to kill the 3 most common bacteria circulating in the country that made people sick. Bacteria jump from host to host as you know, so it is quite normal for an infection in a group of people to be exactly the same. Hence an annual update of the phage medicine ensures it stays effective to the particular genotype of the bacteria. That is right, the phage will only kill the exact one genotype of the targeted bacteria. This means not one phage to kill just one bacteria, it has to be really specific. Hence phage therapy often falls under individualised medicine, where a phage is found for each individual case. How about the annual flu injection. Every year there is a new cocktail of antivenin to combat the worst flues expected to dominate the country. Are millions of dollars and decades of clinical trials required to get them through the medical authorities to be allowed for human use? How do they get away with it? Why can't we do it with phages? Anyone who wants to get a flu shot can buy one, those who are at highest risk are given them for free. Why? Because it is proven to work, keep flu numbers down and prevent epidemics. It is in the government's interest to keep us out of hospital and dying. When I walk in the street, go into a pharmacist or doctor surgery, a hospital, or a plane, I am afraid someone with a nasty bacteria infects me. They wouldn't infect healthy people, but my CF lungs most certainly will, and can cause me to be counting daisies within weeks. And yes, many with Cystic Fibrosis wear masks and keep distance, and all of us avoid crowds. I live in Tasmania where crowds are rare and fresh air is prevalent. Take a hospital infection where a superbug has gone out of control infecting dozens and killing several patients, it is often just the one bacteria to blame. 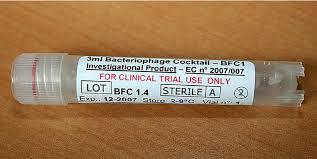 A bacteriophage can be isolated and given to all patients which will in most cases kill the infection without side effects. Of course, this presumption is just merely a presumption, but that is theoretically how bacteriophages work, they are highly targeted enemies of our enemies, they are our friends! And is it just one bacteriophage that exists to kill that one particular infection? No, shock horror, it is more like real life biology where say us humans are able to get thousands of viruses that could harm or kill us without affecting our goldfish or hamster, as can rabbits get thousands of viruses without harming their fleas and other parasites, or us humans trying to grow carrots in the same fields these rabbits are dying of the various viruses they could potentially catch. Some viruses are more virulent than others. This means the microbiologists need to isolate a cocktail of effective phages for the bacteria they are targeting. It's not rocket science, but will take a lot of biochemists and lab workers to be employed. The alternative our capitalist society seems to prefer is to find a pharmaceutical solution that spends the same or more on a handful of CEOs and investors instead of creating employment for scientists! Win-win for Phages again. In the Eliava Institue in Georgia, former Russia, 800 scientists used to work there to isolate and distribute phages for all of the USSR, today still 80 or so remain, to help treat people from their country and desperate visitors who come from overseas to seek treatment after the western system has failed for years. Thank you for reading this far and if you enjoy these regular updates and are interested to see how I go in my quest for killing my Pseudomonas aeruginosa infection with Phage Therapy please share this page and my fundraiser with other people interested in fighting antibiotic resistance in our world! Donations are not for my travel or treatment, they are intended to cover film and media costs etc to let the world know about Bacteriophages. I decided to write an analogy of how I see phages, and how I explain it to other people. Many people still think I am going to get cured, but really I am going for treatment that should be simple and available for anyone around the world, or at least doctors ought to have bacteriophage options in hospitals when treating infections that do not respond to traditional medicine. I liken my lungs to a farmers field of rabbits. I cannot use my green paddock anymore as the rabbits eat everything and dig everything up. A little after European Settlers in Australia decided to release 24 rabbits this turned into a nationwide plague within 50 years. Poisons used to kill the rabbits also killed farm animals and left dangerous residues on crops, and shooting, baiting and trapping seemed pointless. Like the bacteria growing in Cystic Fibrosis lungs, the usual methods of healthy diet, exercise etc is not enough to get rid of my 'rabbits' (infection), so 'poisons' are used; antibiotics. The poisons also affect good bacteria and cause harm, plus eventually, my rabbits don't even care about the poison and the poison is rendered useless. Like in my lungs, the 'rabbits' in the paddock have become very resistant to the rabbit poisons, like the bacterial infection in my lungs has become resistant to the antibiotics. Now we all know that any overpopulation tends to get diseases, like too many fish in a fishbowl, too many chickens in a hatchery, pigs in a piggery, people in a hospital... or rabbits in a field. This led to excessive use of antibiotics to be used on animal farms to keep the populations healthy. 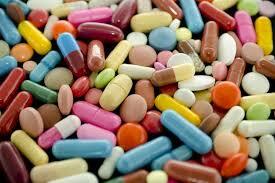 This overuse also contributed to global bacterial infections becoming more resistant to antibiotics. Humans too have been squeezed full of antibiotics, with antibiotics being the most often prescribed medicine of the Century. This has led to more superbugs in society, bacteria that are resistant to most antibiotics. So why isn't our world covered in a bacterial ooze growing out of control? For the same reason, overpopulation is stopped by disease, which also happens on a bacterial level. Bacteria are also susceptible to viruses that kill them. Like most viruses, they generally do not travel across the 'species'. Antibiotics are very indiscriminate, affecting all species and all sorts of bacteria, but these natural bacteriophages, viruses, are highly targeted. 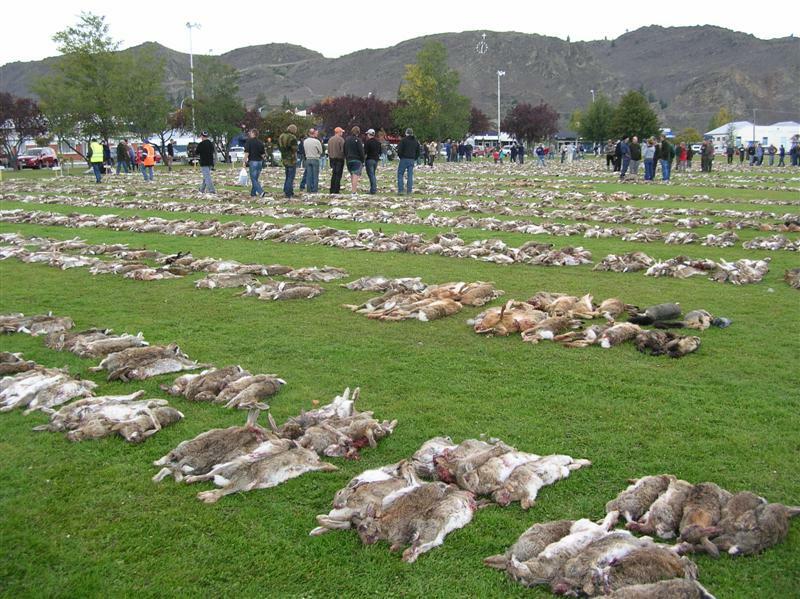 Scientists found viruses that killed rabbits and isolated them. In Australia that controlled the rabbit numbers very effectively without affecting other species; the Calicivirus. 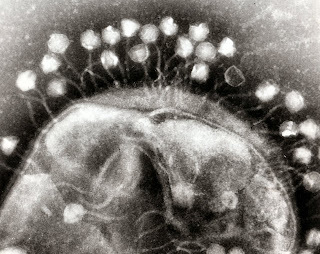 When people discovered that bacteria have viral enemies, bacteriophages (phage is the Greek word for kill) we started isolating them and using them to heal infections in humans. In the early 1900s this was revolutionary, but when antibiotics were invented in the 1930s phage research stopped as antibiotics could kill a range of bacteria, instead of looking for individual cures (phages) for specific bacterial infections. Many East Bloc countries did not have access to antibiotics and they continued using phage therapy, hence you can find phage-based medicine and prescriptions against common bacteria on pharmacy shelves in Poland, Russia, Georgia, etc. They have not stopped their research in phages, and have hundreds of academic studies and trials in half a dozen or more languages published over the past decades. Slowly our Western Scientists are waking up to phages: www.phageguard.com. All they need to do is look in dirty places, places where a person with Cystic Fibrosis (or anyone for that matter) can easily contract lung infections; compost bins, soils, garbage tips, sewerages, polluted rivers... There they can find the bacteria that might be causing my infection in great numbers. Great numbers also mean scientists (biochemists) can also find the bacteriophages killing them. Next, the scientists isolate these phages. They may find several phages for similar genotypes of the same bacteria, and they can formulate and administer tailored phage cocktail to infected people. In combination with antibiotics, this has had enormous success. Like the Calicivirus which killed the majority of rabbits (but not all!). Now bacteria can still become resistant to phages, but for now we have a hugely as yet untapped successful weapon against antibiotic-resistant bacteria, one that is totally underutilised in Western Society. Why aren't we using them more? In Holland, a government official was recently claiming that human trials could be as far away as 20 years before being allowed to be trialled on human subjects in Holland, yet the European Medicines Agency has allowances for phage therapy treatment on humans. In response, the Dutch have submitted a 40,000 signature asking for an explanation of why they have to travel to Poland for phage therapy. * in the USA the FDA approves phage therapy in individual cases where all conventional drugs have been tired and the situation is serious or life-threatening. * in Belgium a 'magistral phage regulatory framework' has been introduced where phage products can be prepared by a pharmacist on a doctors authority. * in Poland and Georgia it is regarded as another medicine and available by prescription for tailored phages or at pharmacies for common infections. * in the European Union (EU) phages are allowed under approved protocols as outlined by the European Medicines Agency (EMA) - a decentralised agency of the European Union (EU) responsible for the scientific evaluation, supervision and safety monitoring of medicines in the EU. Without the EMA's approval phages would not be available in Belgium or Poland, both EU members. Dr Benjamin Chan from Yale now has my medical info from my various doctors and a couple of hospital discharge summaries. I hope they can make progress in getting FDA approval and schedule me in! In the meantime I came across an Australian researcher, Monash biologist Dr Jeremy J. Barr, who was awarded a Ramaciotti Award grant for Biomedical Research worth $137,534. His research is in bacteriophage treatment to combat antibiotic-resistant bacterial infections.